This laid back dish brush is very earth-friendly. It is made from bamboo, natural bristles, post-consumer recycled plastic bristles, and biodegradeable Bonterra – a plant-based plastic. It’s stylish design combined with bristles that provide a tough scrubbing action, makes this a must-have for any kitchen. 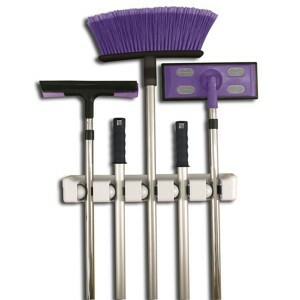 Protect the bristles and fibres on your mops and brooms by properly storing them when not in use. 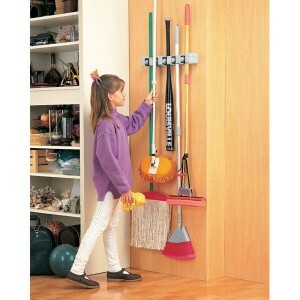 This easy to use organizer mounts on the wall, keeping your mops and brooms off the floor. 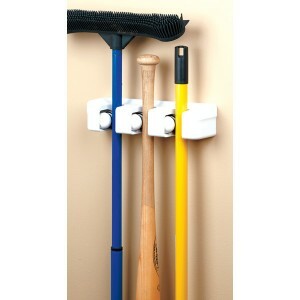 Great also for storing any household or sporting “stick” items such as gardening handle tools, baseball bats and more. 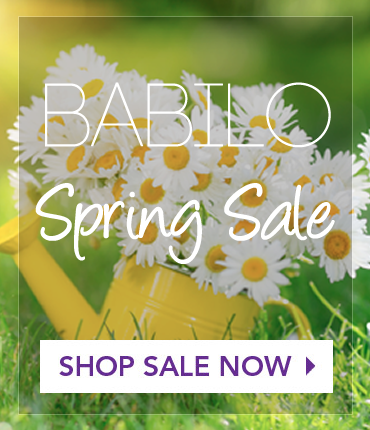 This sliding organizer is great for narrow spaces, sliding in and out for easy accessibility. Protect the bristles and fibres on your mops and brooms by properly storing them when not in use. 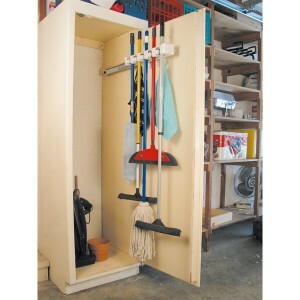 This easy to use organizer mounts on the wall, keeping your mops and brooms off the floor.